Aye, likely she’d be having no use for an almost toothless Irishman with a bristly beard to hide it and a mouth stinking like a rotten bog more often than not, now would she? And why be you wanting to know, boyo? 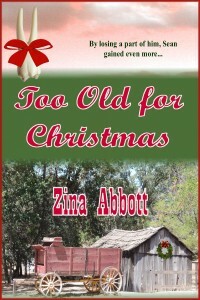 Too Old for Christmas is now available on Amazon. You may purchase it by clicking HERE. It’s NOW available for Nook at Barnes & Noble. 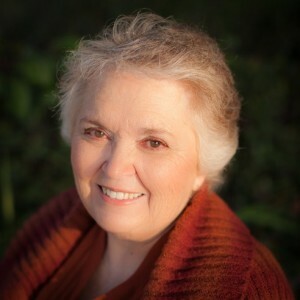 The author currently lives with her husband in California near the “Gateway to Yosemite.” She is a member of Women Writing the West, American Night Writers Association, and Modesto Writers Meet Up. She currently lives with her husband in California near the “Gateway to Yosemite.” She enjoys any kind of history including family history. When she is not piecing together novel plots, she pieces together quilt blocks. I preordered a copy of Too Old For Christmas (release date: November 18th). I was more than happy to support my peer and friend Robyn Echols (writing as Zina Abbott) in her blog tour for this new release, and asked if I might have the privilege of an Advance Review Copy (ARC). I’m pleased to have the opportunity to read this charming Christmas tale in advance of release so I might share my unbiased and wholly personal opinion with you. 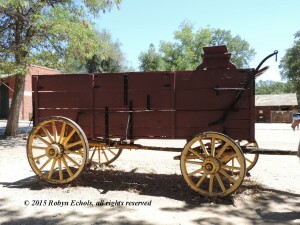 I write sweet western historical romance. That means I might immediately be a tough sell. Truthfully? 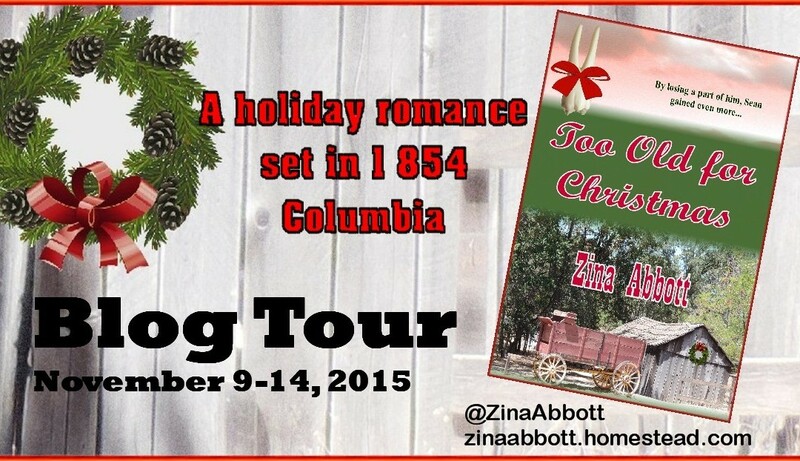 I read Zina’s blurb with Sean Flood, nearly toothless, and was taken aback. Why write about a hero with only a few teeth?–is that romantic even though historically accurate? I am so glad I gave this book an honest try. I adored Sean Flood, right quick. This character fully deserves the title of hero. I’ll explain a little of why, without giving away too much of the story. Sean’s Irish Catholic heritage comes through in strong internal narrative voice that remains consistent throughout the tale (105 print pages, according to Amazon). He’s a busy miner. He barely has time to have a badly infected tooth pulled, much less notice neighbors in trouble. But he does notice and continues to notice. His compassion earned my complete respect. The way Sean goes about slowly winning their trust (while respecting their pride) was utterly beautiful. Sean and the boys won my heart. I knew less of Ona McNair–only what Sean saw and heard and sensed, so comprehending her motivations had to wait for Sean. The Spirit of Christmas is about joyful giving without expectations, the simple satisfaction of making a difference, love, family, hope, and charity (in the purest Christian sense). Too Old For Christmas explores it all. A heartwarming Christmas story that uplifts and enriches.